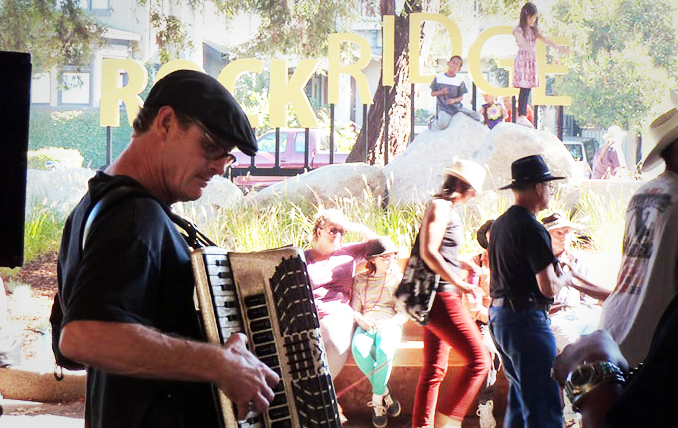 Oakland’s beloved Rockridge neighborhood will welcome thousands from all over the region to shop, dine and explore at our 12th Rockridge Out & About festival. Mark your calendars now for a fun-filled day celebrating all that makes Rockridge a great place to live, work, shop, and play! The free, family-friendly festivities stretches along a leisurely 8-blocks of College Avenue from Claremont to Lawton. The festival will feature Market Hall’s Annual Picnic—a foodie paradise! Picnic with Market Hall—A Foodie Paradise! Market Hall will offer delicious foods, tastings, demos, music, a prize wheel and photo booth during the festival.Featured merchants include: The Cheese Counter and Delicatessen of Market Hall Foods, Hapuku Fish Shop, Highwire Coffee Roasters, Marin Sun Farms, Market Hall Bakery, Market Hall Produce, Paul Marcus Wines, and Cactus Taqueria. In addition, a variety of great eats will be offered by scores of Rockridge establishments and local food vendors. Beer and wine will also be sold and festival attendees will have the option of dining comfortably at tables in four festival food courts. More than 100 community, artisan and business booths will dot College Avenue, combining with Rockridge’s plethora of existing businesses to offer a full range of shopping opportunities. Festival-goers can get a jump on fall and holiday shopping with selections ranging from antiques and home furnishings, clothing and jewelry, health and wellness, books and learning, international and artisanal foods, and much more. Always family-friendly, Rockridge Out & About also boasts loads of children’s activities including kid-friendly carnival rides and games plus face painting and more. Free, Easy to Get to, and Fun for All! Admission to the 2018 Rockridge Out & About is free to the public, made possible through our generous sponsors. Direct access to the festival is fast and easy at the Rockridge BART station, where we'll add additional bike parking racks for the day. Please bring your own lock. Live music will be featured in multiple outdoor locations up and down College Avenue. Featured artists include John Brothers Piano Company, The Yerbalytes, and Ronnie Mills as part of an outdoor beer garden sponsored by Golden Squirrel Rockridge. 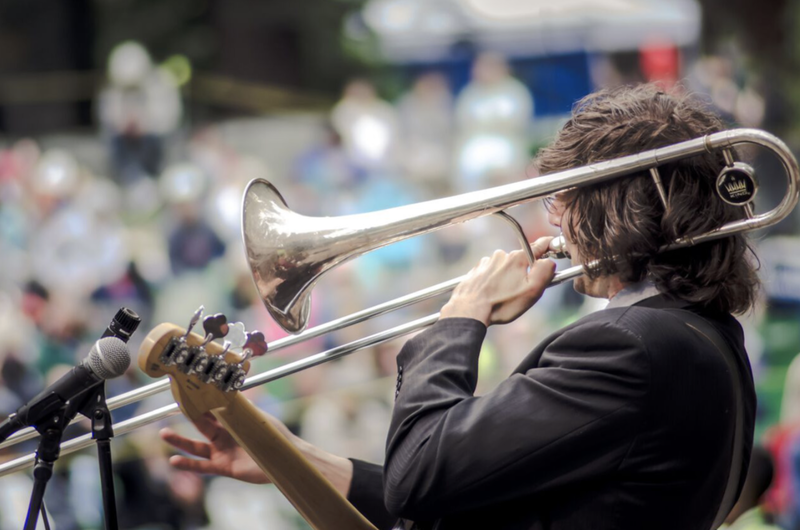 Also on the bill are Rockridge favorites Clifton Street Regulars, the annual jazz stage presented by local jazz historian Floyd Pellom, and many more. Market Hall will host a music stage on Shafter featuring Big Blu Soul Revue and rock/jazz band Fancy Dad. Also back by ever-popular demand is the high-flying, standing-room-only Kinetic Arts Center Circus Stage.